Keeping active, playing with grandchildren, maintaining or improving quality of life is what this population strives for. Chiropractic care for the senior population will help manage and even eliminate acute and chronic pain, increase flexibility, restore postural alignment, enhanced balance, and decrease joint degeneration. Visiting your chiropractor is especially important for maturing and elderly adults because of the dramatic changes that occur in the spine with increasing age. As we age, spinal discs, joints, ligaments, muscles and other spinal tissues become weaker, less hydrated, and less able to withstand normal strain. As a result, back pain from spinal degeneration (arthritis) becomes more prominent. As the time to heal from injury increases as we age, minimizing risk and optimizing overall health and wellness becomes even more important. 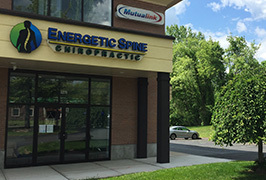 Chiropractic care in Meriden/Wallingford takes into consideration the nature of the aging spine and the many abnormalities present to provide an effective, safe and non-invasive treatment plan. Through the use of gentle adjusting techniques, spinal pain is reduced, spinal stresses are decreased, flexibility and mobility are improved, and degeneration is minimized.